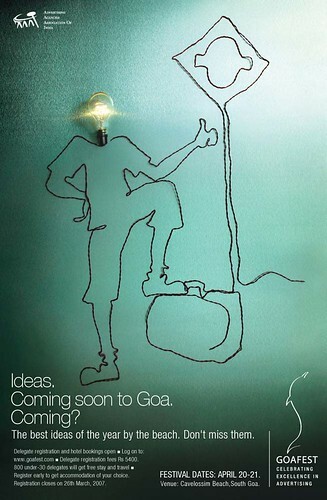 I will be attending the Goafest 2007 happening in South Goa between 20th April and 21st April. I think this is going to be a good chance to meet up all my blog friends from the advertising circle I have been interacting with all this time. So if you are going to be there, leave a comment here and we’ll connect just around the time of the festival.